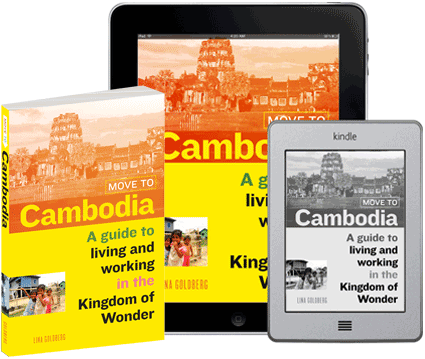 Vegetarian and travelling to the Sihanoukville Islands? You are in luck — Koh Rong has many choices for you! There is a large backpacker community on the island, so Western food is pretty good and communication issues are rare. In addition to standard vegetarian standbys such as stir-fried vegetables and fried rice (more on that in our ‘How to eat vegan and vegetarian in Cambodia‘ blog post) there are several restaurants on Koh Rong that specifically cater to vegan and vegetarian diets. Koh Rong is not just a tropical paradise, it’s a vegan and vegetarian paradise, too! 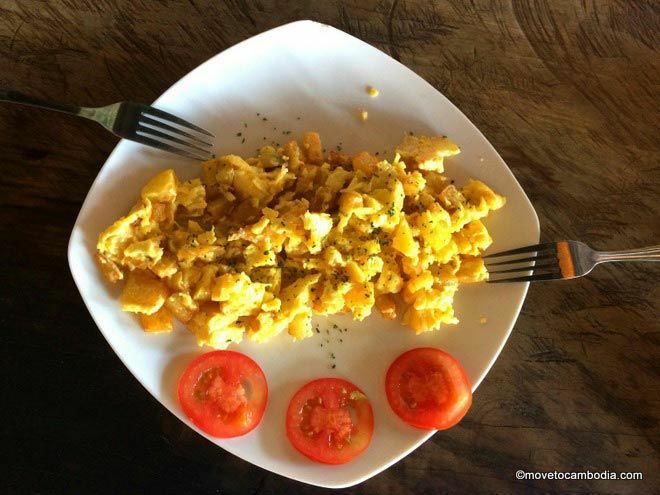 Vegetarians will find the widest variety of choice if staying in Koh Rong’s main village, Koh Toch, or on Longset Beach. Other locations on the island may also have at least the most basic vegetarian options, although you will likely be restricted to the menu of your guesthouse. Here’s a roundup of the best vegetarian and vegan-friendly restaurants in Koh Rong. The island is growing in popularity and there are new businesses opening all the time so it is likely you will find more options than I have listed here. Feel free to comment below with your favorite veg spot, and I’ll add it to the list! Rising Sun’s all-vegetarian menu is prepared in a clean, meat-free kitchen and they don’t use any MSG or chemical products in their cooking. The place has a chilled, comfortable vibe and their menu has a strong Middle Eastern influence, with many vegan options. I recommend to try their salads — they are one of the few places on the island that gets in fresh baby spinach and real leafy greens. Dishes range between $3 and $6.50. Open daily, 8 a.m. to 12 a.m.
Start your morning the vegetarian way with Svede’s special potato omelette at Runaways. Friday is ‘Sushi night’ when you can order avocado and cucumber or vegan rolls. Runaways is also one of the few places on the island with an espresso machine, and they offer a vegan delight, coconut lattes. If you have never tried a coconut latte and you enjoy coffee then I recommend you start here. It’s a winner! Veggie options range between $3 and $7. Open daily, 7 a.m. to 12 a.m.
Ankounamatata has a vegetarian Western chef with a cheese-heavy menu. 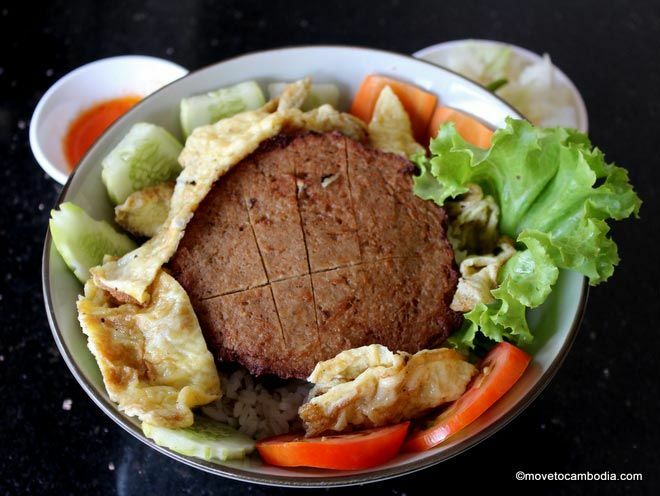 Try the three-cheese or hummus sandwich for lunch or the ‘chef’s fried rice’ with lots of veggies for dinner. Greek and spring salads are fresh options and comfort food can be found by vegetarians and vegans alike with Ankouna pasta options including the descriptively named ‘three cheese’ pasta and ‘The Vegan One’. Open daily, 10 a.m. to 12 a.m.
Da Matti? 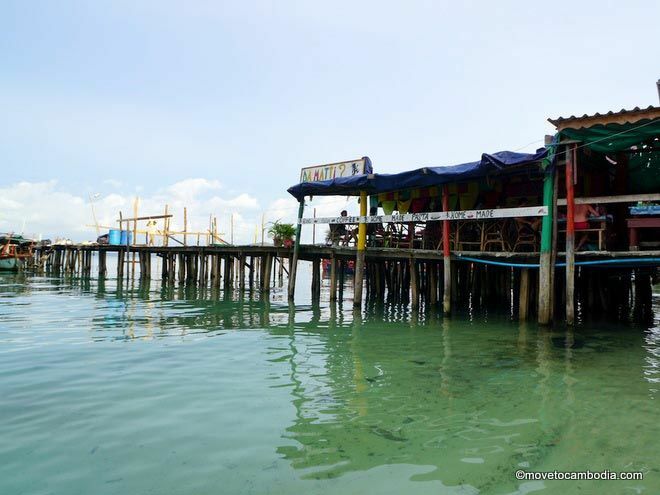 offers veggie and vegan options on the Koh Rong pier. Da Matti? (The question mark is in the name) is an Italian-run restaurant on the pier serving homemade and authentic fare. They have just revamped their menu and have several new salads that are inspired by the countries they are named after. There are several vegetarian options here — care to visit Ireland, Argentina or Greece, anyone? Their homemade pizza, pasta, ravioli, and panini have several vegetarian choices, and upon request they will make a special vegan pizza, without the cheese. Starters and snacks are $3.50 and mains are between $5 and $7.50. Connected to Nice Food in Sihanoukville, Nice Food II, found in the alley opposite Da Matti? Pier has an inexpensive menu and includes many vegetarian options such as a tofu burger and mushroom soup. They also have Khmer dishes and pizza that can be made vegetarian. Prices range between $1.25 and $2.50 — the cheapest on the island! As a vegetarian myself, Vagabonds was the first place I ate when I came to Koh Rong. They have just revamped the menu but the veggie burger that enticed me then is still a highlight. The burger patty is homemade, using a red kidney bean and chickpea combo. Pick two sauces and two fillings and they will throw in double-fried Cajun chips and a beer for $6. Other vego menu options include three-bean Mexican chilli tacos and jalapeno melt. 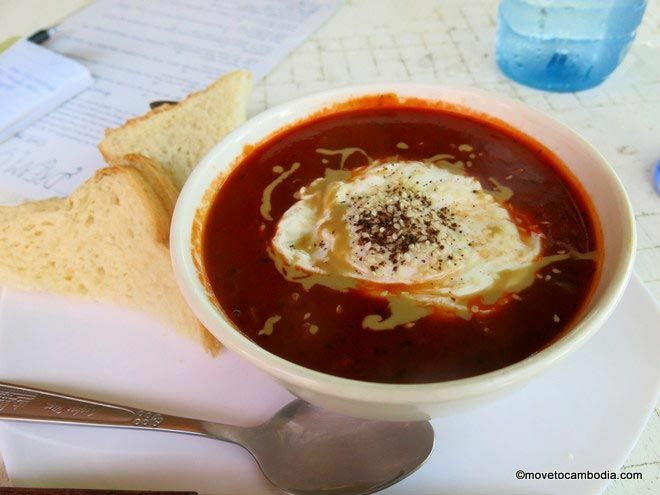 Open daily, kitchen open between 10 a.m and 10 p.m.
A delicious Middle Eastern breakfast, vegetarian shakshuka at Dreamcatch Inn. New on the menu at Dreamcatch Inn, the ‘boycott-chicken nuggets’ are eccentrically shaped deep-fried breadcrumbs served with creamy feta, garlic and tomato dip. For $3 this is recommended by Dreamcatch as the ‘perfect vegetarian comfort food’. Deep-fried bread not your thing? Other veggie options include the tomato pesto salad, sweet potato poutine, and Middle Eastern shakshuka (eggs gently poached in a spicy tomato sauce). Prices between $3 and $4. An island favorite for authentic Thai, you will find locals raving about Sigi’s cooking. You will find him down the alley beside Dreamcatch Inn, running a one-man show and surrounded by happy customers. As everything is made fresh to order, all menu items can be requested to be prepared vegetarian or vegan. If vegan, request no fish sauce, oyster sauce, or shrimp paste, and he will be happy to accommodate. Prices between $3 and $5. Monkey Island has an extensive and reasonably priced menu with large serving sizes and plenty of vegetarian choices. The homemade spicy beanball and hummus salad is a winner (and also comes as a baguette). Other recommendations include the ‘scrambled tofu’, massaman curry and char kroeung, the latter a Khmer stir-fry with a long beans, baby eggplants and peanut yellow curry sauce. If you are vegan be sure to specify no milk as it is sometimes included in the curry sauce. Mains are $3.50 for veg, $3.75 for tofu. Open daily, kitchen open between 7:30 a.m and 9:30 p.m.
Nest is Longset Beach’s most beautiful place for a drink. About a 15-minute walk from Koh Toch Village’s main beach, Nest Beach Club is the first place you will come across on Longset Beach. It has a chilled Sunday-session vibe and stunning views. With a new chef and new menu, vegetarians have several choices including mains such as the Khmer sweet potato and pumpkin curry, smoked aubergine, and a special grilled vegetable and guacamole wrap. 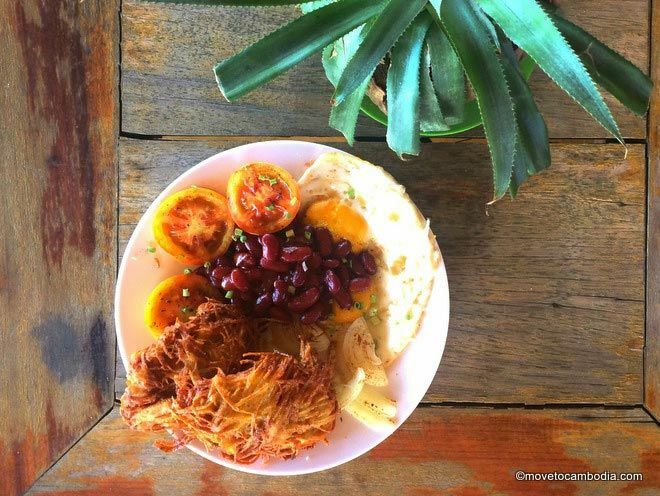 They have a no-MSG policy and the veggie breakfast is highly recommended served alongside a fresh coconut while enjoying the beach views. Note: An asterisk (*) denotes the restaurant has an all-vegetarian menu. All other restaurants are vegetarian and vegan-friendly. 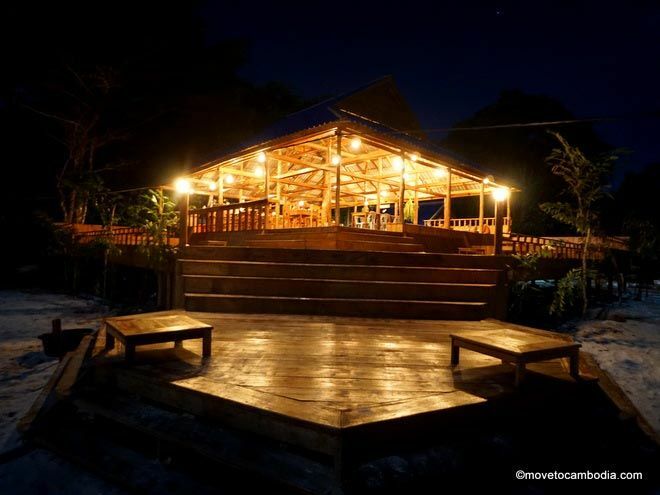 This entry was posted in Koh Rong, Islands and tagged Monkey Island, Nice Foods, Da Matti?, Vegetarian, vegan and vegetarian, Rising Sun, Runaways, Ankounamatata, Vagabonds, Dreamcatch Inn, Sigi's, Nest Beach Club. Bookmark the permalink. As this post is quite old, 5 out of the 9 restaurants mentioned have already been closed! Open Tuesday to Sunday (closed on Monday), 5 p.m. to 10 p.m. Thanks, Melissa. We’ll get this updated! Which ones are closed?